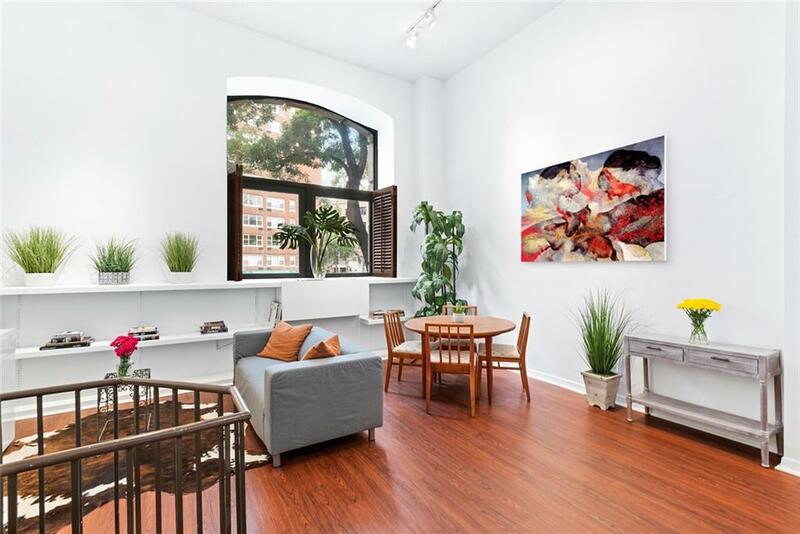 Dramatic 1 bed, 1.5 bath duplex in the heart of Soho. 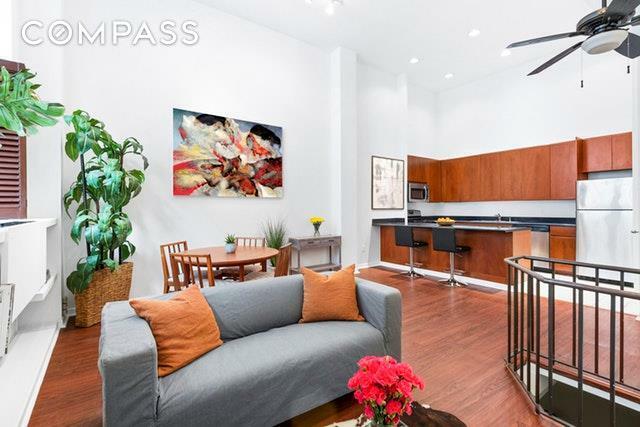 Light and space abound in this lovely Soho loft one bedroom. Walk into your new home and be overwhelmed by your soaring 14-foot ceilings and gorgeous oversized arched windows overlooking newly renovated Father Fagan Park. 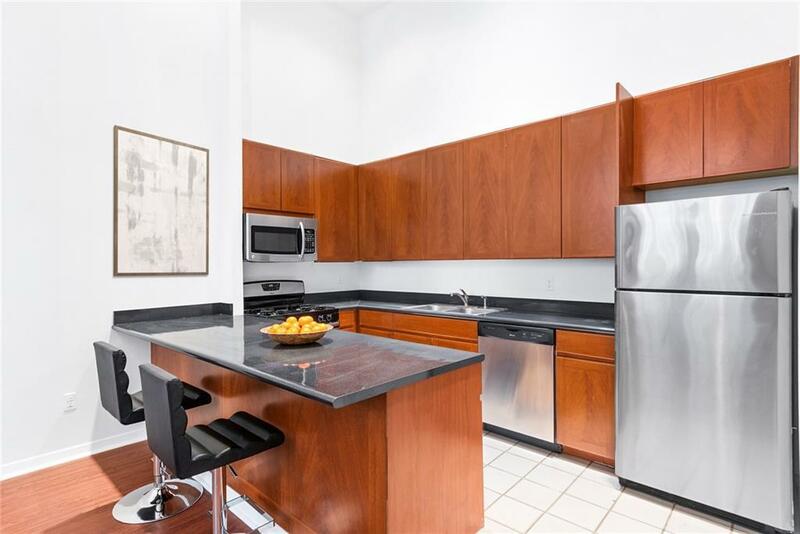 Drenched in natural sunlight this architectural gem of a home is approximately 943 square feet and features a large open kitchen which is perfect for the home-chef who loves to entertain guests or wants a quiet peaceful night at home. So unique, this duplex apartment has a full bath on the main level and a half bath downstairs. A beautiful wrought-iron spiral staircase leads you to your enormous bedroom that includes a walk-in closet and ample space for additional storage. While this unit is on the first floor it is raised from the street and has the privacy and charming feel of a parlor floor home you find in most bronwstones. Located within the Sullivan-Thompson Historic District, this quaint brick building was originally constructed in 1893 as the police department's 10th Precinct. Expanded and converted to cooperative use in 1984, the boutique elevator building offers common laundry facilities in the basement. 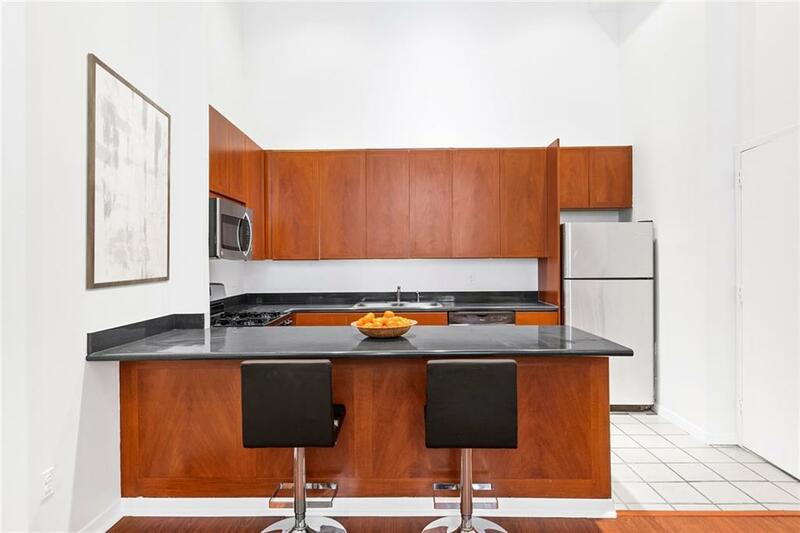 Tucked behind the newly renovated Father Fagan Park, and flanked by the Village and Hudson Square, this tranquil home offers immediate proximity to all that SoHo living has to offer. Fantastic dining and world-class shopping are mere inches from your front door, and access to transportation is unbeatable thanks to C/E, 1, N/R/W and B/D/F/M trains all within easy reach. Additionally a Trader Joe's has just opened across the street. Pets allowed, co-purchasing and sublets allowed.